In a few Web sites, if we type the Web site name, (like www.someurl.com) it will automatically load the page www.someurl.com/index.aspx. This is because of the setting of the “Default Document” feature of IIS. In this post we are going to discuss this feature of IIS. 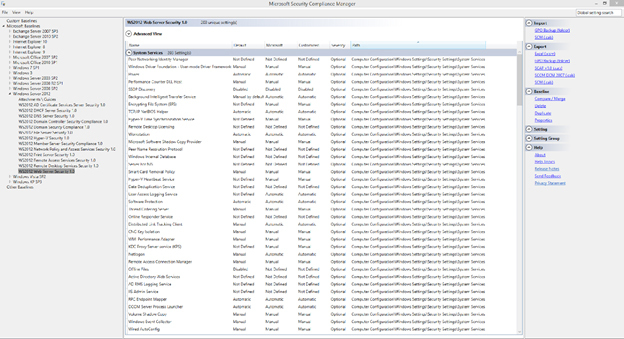 Open IIS, type the command “inetmgr” in Run window. Select “Default Document” and click. In the feature view, we can see some type of Document orderly kept. The top most had the highest priority and the last one had the least priority. As per the above figure, the document “Default.htm” had the highest priority and the file “Default.aspx” had the lowest priority. This means whenever the user types a url (like www.someurl.com), then IIS looks for any one of the files that exist in the above order on that Virtual Directory. If it finds any one of the files, it will load that page. IIS also allows, adds/removes the custom default document per Web site. For example, if we specify a page (say home.htm) as the default document which does not exist in the website, then IIS will look into that website and alert the user as shown below, which explicitly states that each time we type the url, IIS will look in that order. As per the alert, it is advisable to move the default document at the top level, which will increase the performance in the sense IIS can avoid going further down in the list. European IIS 8 Hosting - Germany :: How to Enable URL Redirection from Non-WWW to WWW? We have many clients ask about how to redirect non-www to www URLs. We believe this is important factor in SEO as search engines consider http://www.domain.com and http://domain.com are different websites. As a result, if your website has been linked to from other websites using a mix of the two URLs you are effectively splitting the potential benefit of valuable link popularity. Using a 301 redirect on the “non-www” version of the URL, which is essentially a “permanent” redirect in server talk, you can effectively consolidate all of your link popularity to a single URL. This consolidation will serve to increase your website’s chances of obtaining and maintaining top rankings. You need to instruct the server you are hosting your website on to redirect the traffic seamlessly. To do this you need to first establish what type of server your website is hosted on. There are two main types of servers that are in use: Microsoft and Apache (Linux/Unix), but as on our hosting environment, we use IIS, so we will discuss how to enable it on IIS. 1. Using Internet Services Manager create a new IP-based website using the http://yourdomain.com URL or alternatively you can avoid using a unique IP by using the host header (virtual website) of www.yourdomain.com. 2. Now verify the server headers for each website using the Server Header Checker. The server response should be 200 OK for both addresses. Note: do not change the spacing or line placement within the above code; place it as is. IIS 8 Hosting - HostForLIFE.eu :: How to Config ASP.NET and IIS Request Length? In this post, i will show you how to configuring ASP.NET and IIS request length for post data. One of the most infuriating things about IIS configuration in general is how the Request length is configured in IIS and ASP.NET. There are several places that control how much content you can send to the server and over the years this setting has changed in a number of ways. The places where it's configured is not super obvious and they can be fluid because some of these features are optionally installed IIS features. Let's start with the IIS level setting, which is also a relatively new setting. 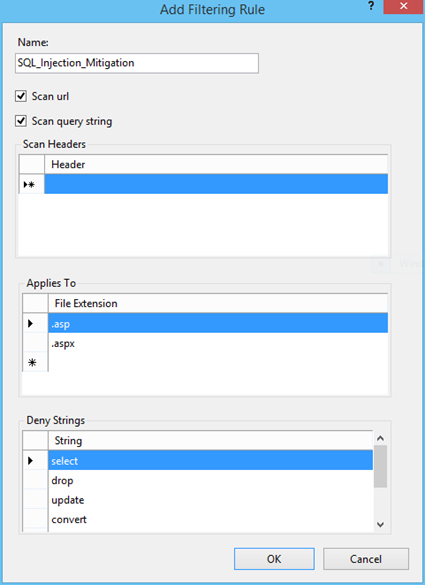 It's based around the Request Filtering module in IIS which is an optional IIS component, but that is a required component if you have ASP.NET installed on your server (at least in the latest versions). 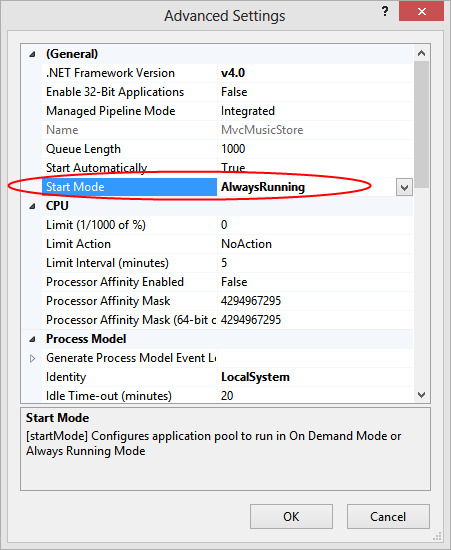 If you have ASP.NET enabled in IIS the Request Filtering module is also enabled and the following settings apply. If you don't use ASP.NET you can still install Request Filtering, but it's an optional component. So if you only use ISAPI or CGI scripts and no ASP.NET content Request Filtering may not be enabled in which case the following settings cannot be set and aren't required. Since most people do run ASP.NET at least for some sites, for all intents and purposes we can assume that the Request Filtering module is installed on IIS. The maxAllowedContentLength determines the size of the POST buffer allowed in bytes. Above I've set the value to 500megs. As is usually the case you can apply the filtering at all levels of the IIS hierarchy – Machine, Site and Virtual/Application. Using web.config as shown above sets the settings at the Application level. 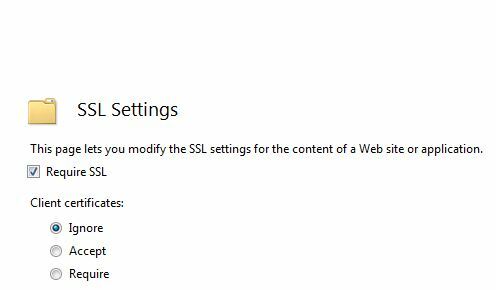 Because these are IIS settings, the value controls the IIS upload settings so they are applied against any and all requests that are fired against IIS, including ASP.NET, ASP, ISAPI extensions, CGI/FASTCGI executables, IISNodeJs requests and so on. ASP.NET traditionally has had its own httpRuntime element in the <system.web> section that control ASP.NET runtime settings one of which is the maxRequestLength. 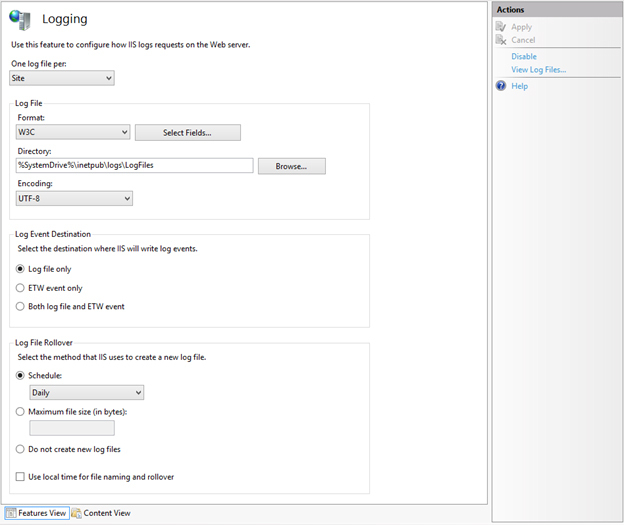 This setting controls the ASP.NET pipeline's acceptance of file uploads and it needs to be configured in addition to the Request Filtering settings described above. What's interesting is that the settings you see here widely mirror the settings in the Request Filtering section, and they are not inherited. It's your responsibility to make sure the settings are set correctly in both places. I recommend that you take a minute and go through the values you care about and set them correctly in both places. The above describes ASP.NET settings. If you're using another framework, like WCF you may end up with yet another different set of settings on the WCF bindings and Endpoints. Just be aware of the framework you're using and that it too might have specific filters to restrict request size. You have just finished installing IIS on your Windows OS. You’re probably thinking that you can delve into the web development world and forget all about the underlying web server. After all, IIS is a Microsoft product so it should install with the right default configuration settings, right? That is far from true with IIS. 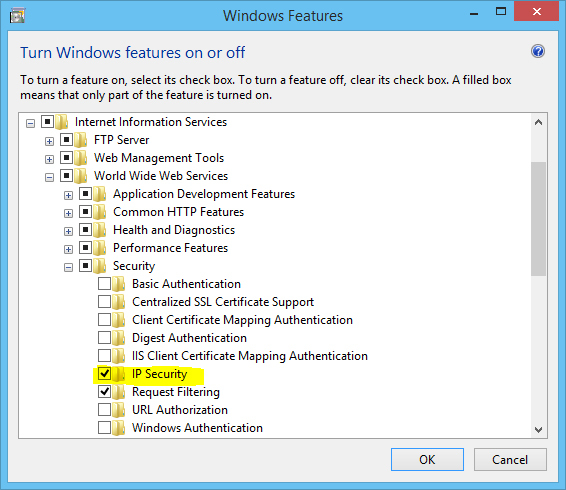 In this article, I will provide 8 tips that you can use to secure your IIS installation. 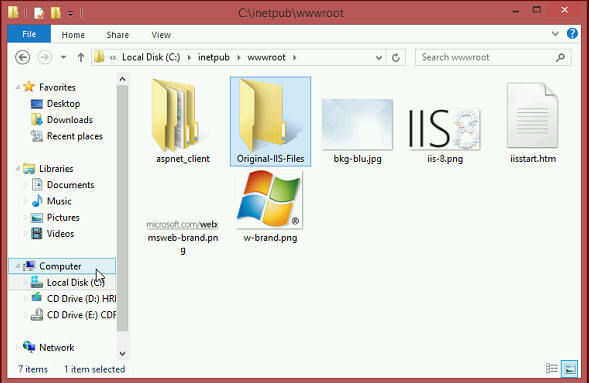 The Inetpub folder is the default location for your web content, IIS logs and so on. 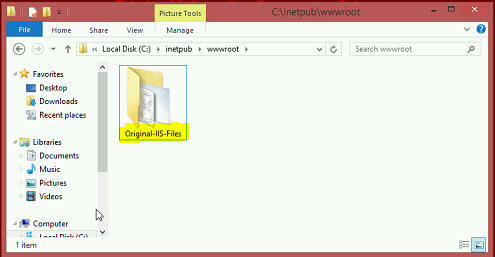 By default IIS 7 and upwards install the Inetpub folder in the system drive. It’s good practice to move the Inetpub folder to a different partition so that the web content is separate from the operating system. This folder can be moved after IIS installation is completed. IIS includes more than 30 modules – you should only install the ones which are needed by your web applications. Disable any modules that are not required, to minimize the capacity of potential attacks. Periodically review the modules that are installed and enabled and remove any that are no longer required. You can use IIS Manager to list all the modules that are enabled. The OPTIONS method provides a list of methods that are supported by the web server. Although this might seem beneficial, it also provides useful information to an attacker. This will provide information to an attacker at the reconnaissance stage of this attack. Therefore it’s recommended to disable the OPTIONS method completely. This can be done by denying the OPTIONS verb from the HTTP Verb request filtering rules in IIS. The Dynamic IP Restrictions module helps blocks access to IP addresses that exceed a specified number of requests and thus helps prevent Denial of Service (DoS) attacks. This module will inspect the IP address of each request sent to the web server and will filter these requests in order to temporarily deny IP addresses that follow a particular attack pattern. 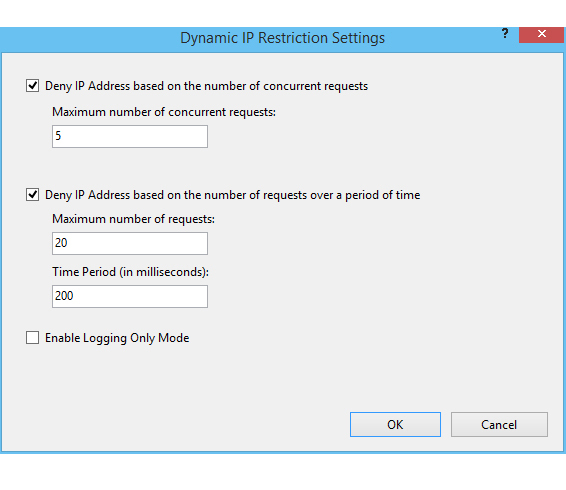 The Dynamic IP Restrictions module can be configured to block IP addresses after a number of concurrent requests or by blocking IP addresses that perform a number of requests over a period of time. Depending on your IIS version you will need to enable either the ‘IP Security’ feature or the “IP and Domain Restrictions” as explained in this Microsoft article. This will include the ‘IP Address and Domain Restrictions module in the IIS Manager, from where dynamic IP restrictions can be set. It is also a good idea to restrict the types of HTTP requests that are processed by IIS. Setting up exclusions and rules can prevent potentially harmful requests from passing through to the server, since IIS can block these requests on the basis of the request filtering rules defined. For example, a rule can be set to filter traffic for SQL Injection attempts. Whilst SQL Injection vulnerabilities should be fixed at source, filtering for SQL Injection attacks is a useful mitigation. This can be set from the Rules tab found in the Request Filtering page in IIS Manager. The rule set in the below screenshot would instruct IIS to check for the provided strings in requests for .asp and .aspx pages. 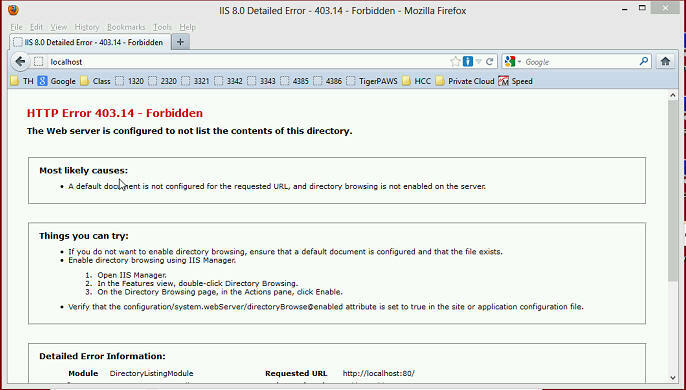 IIS will then block the request if any of these strings are found. Configuring IIS logging will cause IIS to log various information from HTTP requests received by the server. This will come in handy and can give a better understanding of issues that might have occurred on your website when things go wrong. It’s the place where you will start the troubleshooting process in such situations. The server’s logs can also be continuously or periodically monitored in order to review the server’s performance and provide optimizations if needed. This can be automated using various server monitoring tools. Make sure to keep a backup of the logs. Microsoft also provide Log Parser, which is a tool that can be used to query and retrieve specific data from IIS logs. Additionally, log consolidation tools prove useful for consolidating and archiving data from logs in a more meaningful way. IIS logging can be enabled and configured from IIS Manager > select the machine name or the specific site you want to configure > Logging. Since these log files might grow quite large, it would be a good idea to start a new file periodically. Both of these Microsoft tools can be used to test your IIS security. The Security Configuration Wizard (SCW) runs different checks and provides advice and recommendations on how to boost your server’s security. The Security Compliance Manager (SCM) tool performs security tests on your server and compares server configurations to predefined templates as per industry best practices and security guide recommendations. Finally, ensure that you keep up to date with the latest updates and security patches. It is interesting how often this basic security requirement is missed. The majority of hacks affecting the web server occur on unpatched servers. This just demonstrates how important it is to always keep your IIS web server up to date.